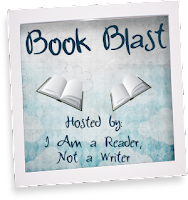 Laurie Here - Contemporary Fiction and MORE - Book Reviews: Book Blast!!! Masters of the Veil by Daniel A Cohen + $100 AMAZON GIFT CARD GIVEAWAY! 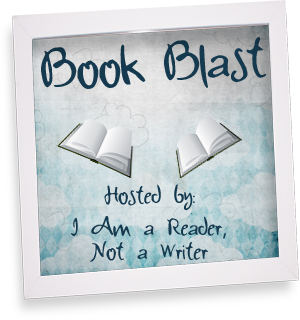 Book Blast!!! Masters of the Veil by Daniel A Cohen + $100 AMAZON GIFT CARD GIVEAWAY! Life can't get much better for Sam Lock. Popular, good-looking, and with a future as a professional football player. every guy at Stanton High School wishes he were Sam. That is, until his championship football game, when Sam accidentally links with an ancient source of energy known as the Veil and reveals his potential to become a powerful sorcerer. Sam is whisked off to Atlas Crown, a community of sorcerers who utilize the Veil as a part of everyday life. Once there, he trains beside a mute boy who speaks through music, an eternal sage who's the eyes and ears of the Veil, and a beautiful girl who's pretty sure Sam's an idiot. As it becomes clear Sam's meant for power magic-the most feared and misunderstood form of sorcery-people beyond Atlas Crown learn of his dangerous potential. An exiled group of power sorcerers are eager to recruit Sam, believing that he is destined to help them achieve their long-held goal. If they succeed, they could bring about the downfall of not only Atlas Crown. but all humankind. LOVE THE SOUND OF THE BOOK, WELL HERE ARE . . . 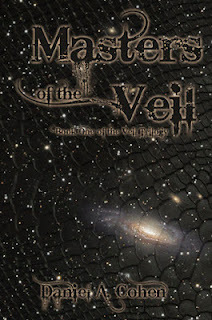 So before “Masters of the Veil,” happened, Dan sat down and interviewed some of his characters. We won’t get into the details of how Dan got into Atlas Crown (the magical community where the story takes place), but let’s just say it wasn’t easy. Sam Lock: High school football star. Popular, sociable, and knows nothing about magic… yet. Daphne Sunder: Beautiful, intelligent, and one of the most popular young sorcerers in Atlas Crown. Cassiella Pyx: Shy, kind, and sort of nerdy. Even though she keeps a low profile, she is also one of the more powerful young sorcerers. Glissandro Thicket: Glissandro is a young, mute sorcerer who speaks magically through music. He uses the horn of a skull-wolf to create his musical language. He also keeps to himself. Petir LaVink: Grumpy young sorcerer. He hates outsiders. VERY good at magic. Rona Rono: Teaches the best young sorcerers in Atlas Crown (Daphne, Cassiella, Glissandro, and Petir). Was a tribal king in Africa before he was brought to Atlas Crown. May: Liaison from Atlas Crown to the outside world. Sam Lock: (Grinning like an idiot) Did you say magic? You mean figuratively, right? Because there was this one-handed catch I had where I dove [rest of answer omitted because of extreme length]. Daphne: One time I was with May in the grow fields and she called like every bird in Atlas Crown. Thousand of birds, every color imaginable, all came and May tossed handfuls of seeds into the air and the birds each caught one and flew away. I’ve never seen anything more beautiful. There was no chaos. The birds all fell in line like a dance. May said that another magical community had lost one of their fields—she never told me how—so she was sending a new one. It doesn’t get much better than natural magic. Cassiella: I love watching Rona. He can drape anything. He made me a wooden flower that only blooms on the full moon, but when it opens up it gives off whatever smell would make me most happy. Last moon it smelled like honey and nettle-melon. Rona Rono: (His eyes darken) If you don’t mind, I’d like to skip that question. Sam Lock: He’s kind of small. I doubt he’d be very good on the field. He’s not like the son of a coach or something, is he? Oh. He’s a writer? Yeah, that makes more sense. So why did I meet with him? Daphne Sunder: I guess he seems nice. Not my type. It’s not his fault though, I just wouldn’t ever date a flathand*. *A flathand is someone who cannot connect with the Veil. Cassiella Pyx: I really like blue eyes (at this point in the interview, Cassiella blushes). Don’t tell him I said that! Glissandro Thicket: He kept mentioning saxophone? What’s a saxophone? Rona Rono: (Shakes his head) He seems to have the right heart, but She [The Veil] hasn’t chosen him. It’s too bad. I would have loved to teach him. Hurry! The LAST day to ENTER is May 31st!